Tired of everyday boring life? Tired of pale family decoration? Need to have a party? Is the holiday coming? 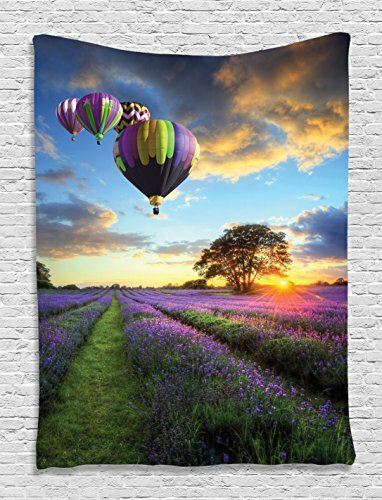 ❤️You need a tapestry to decorate, a piece of art to add color to your home, create a warm atmosphere, this tapestry is not to be missed to makeover your home. 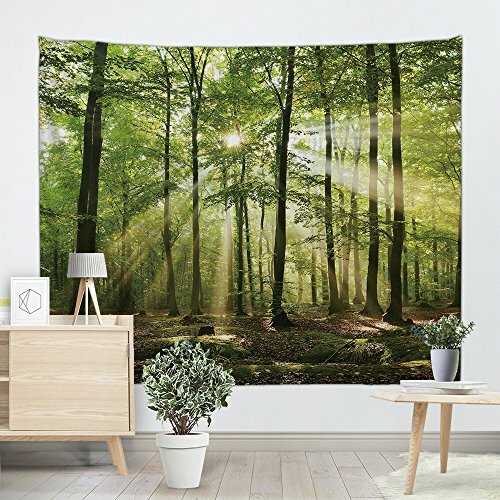 Specification Conditions: 100% Brand new Size: 51"x 59"(130x150cm); 59"x 79"(150x200cm) Material:Lightweight,durable,soft and skin-friendly polyester fabric Package include:1 x Tapestry Print:The dye for the design is one side only,the other side is white Print technology: Digital printing technology Usages: Brighten up any space with this beautiful wall hanging.Surprise gift at anniversary, housewarmings, special holiday, birthdays and daily home decor. 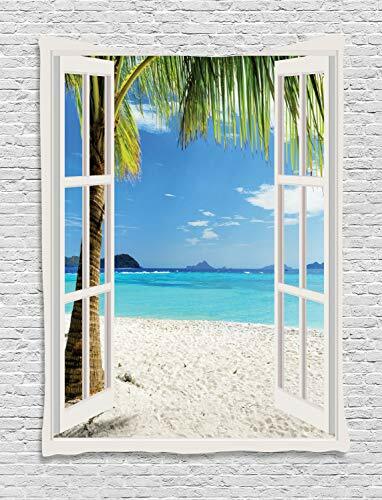 Occasions:Great for almost any occasion such as Wall Hangings, Wall Art, Wall Decor, Beach Throws, College Dorm Decorations, Picnic Blankets, Porch Hangings, Table Cloths, Bed Cover, Sofa Cover, Room Divider, Curtain, DIY decorating. Other Note: 1.Please allow some color difference caused by the display and some size difference caused by manual measurement. 2.If you have any other questions about the products or orders, please feel free to contact us, we will try our best to help you. 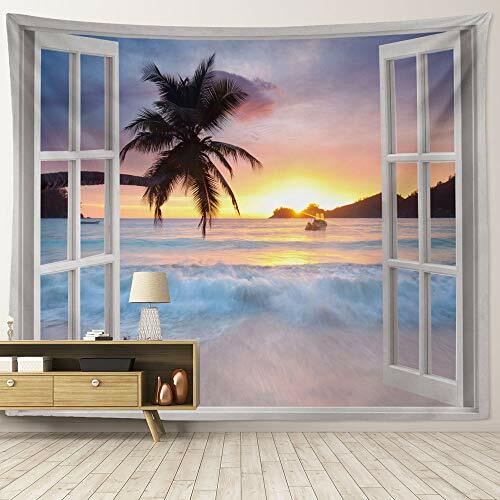 This high quality tapestry set is beautiful and make people comfortable and relax showing the attractive costal sunrise landscape. 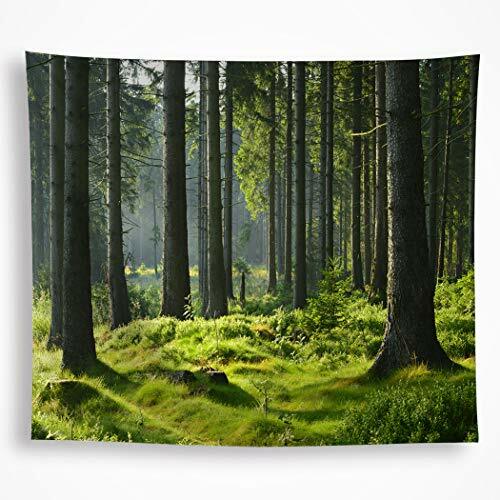 This natural scene designed tapestry panel is made of polyester fabric, eco-friendly, non-toxic and resist mildew. Features And Details： ❤Material and Size: Polyester fabric, 59x80inch(150x200cm) ❤Design: Costal Theme, Costal Sunrise Pattern, Green, Orange White color. Costal. 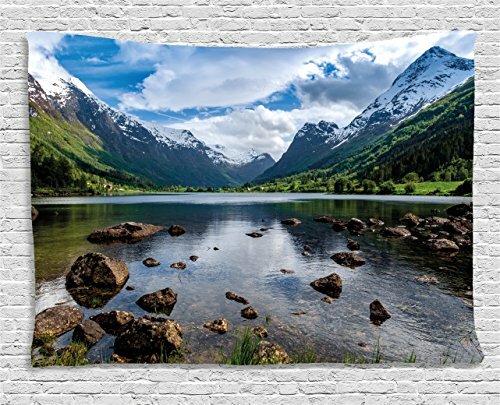 ❤What's Included: One Tapestry ❤Apply: Great for Wall hangings, Dorm Decorations, Beach Throws, Picnic Blankets, Porch Hangings, Table Cloths, Bed Spreads, Sofa Covers or a Perfect Gift for any Occasion. ❤Maintenance: Machine washable in cold water, low tumble dry. 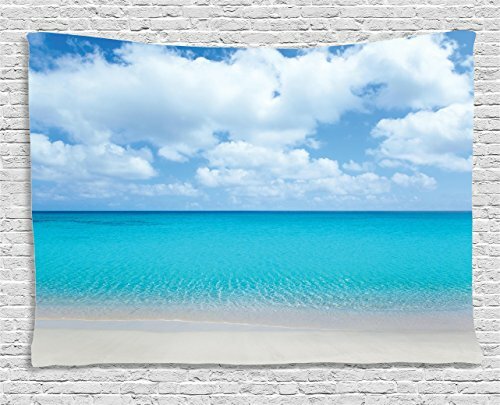 Details: Material: Polyester Pattern: Ocean Size: 59x80inch(150x200cm) Weight: 0.64 lbs What's Included: One Tapestry Notice: ★ All dimensions are measured manually with deviation (ranged) at 1-3mm. ★ Item may be a little different from the picture due to the lighting and your monitor's display. 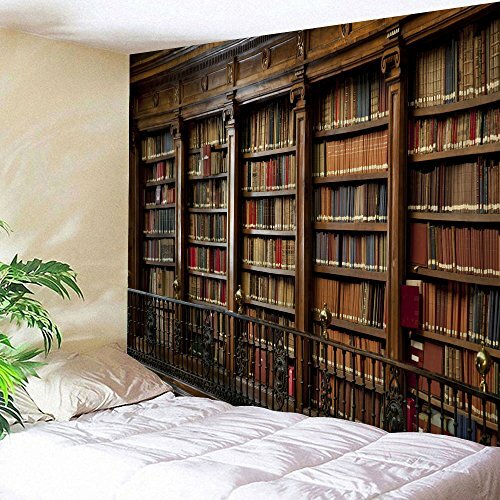 This high quality tapestry set is printed with vintage wooden bookshelf full of old books. This classic designed tapestry panel is made of polyester fabric, eco-friendly, non-toxic and resist mildew. Features And Details： ❤Material and Size: Polyester fabric, 59x80inch(150x200cm) ❤Design: Library Theme, Bookshelf Pattern, Aged color. Vintage. 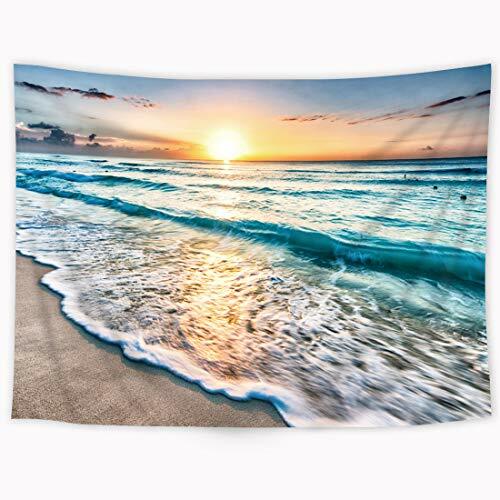 ❤What's Included: One Tapestry ❤Apply: Great for Wall hangings, Dorm Decorations, Beach Throws, Picnic Blankets, Porch Hangings, Table Cloths, Bed Spreads, Sofa Covers or a Perfect Gift for any Occasion. ❤Maintenance: Machine washable in cold water, low tumble dry. 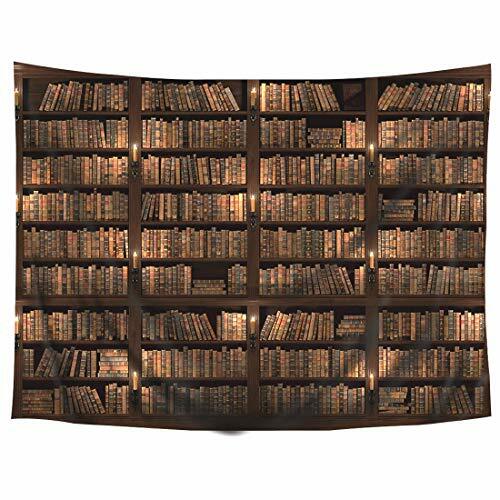 Details: Material: Polyester Pattern: Bookshelf Size: 59x80inch(150x200cm) Weight: 0.64 lbs What's Included: One Tapestry Notice: ★ All dimensions are measured manually with deviation (ranged) at 1-3mm. ★ Item may be a little different from the picture due to the lighting and your monitor's display. Vintage Tapestry Wall Hanging FLORAL Scene - approx. 44" x 29"
TUSCAN VILLA MANOR SCENE WALL HANGING TAPESTRY PROJECT 40" BY 54"